The Phase 2b trial (VBP15-004) is considered the pivotal trial, and is a blinded, placebo-controlled, with a prednisone arm as well. The EMA requested a prednisone arm to demonstrate superior safety compared to standard of care (prednisone and deflazacort). Two doses of vamorolone are tested (2.0 and 6.0 mg/kg/day). The placebo and prednisone are only in “Period 1” – a 24 week period. After Period 1, all patients automatically continue into “Period 2” where all patients in the trial receive vamorolone at either 2.0 or 6.0 mg/kg/day for an additional 24 weeks. 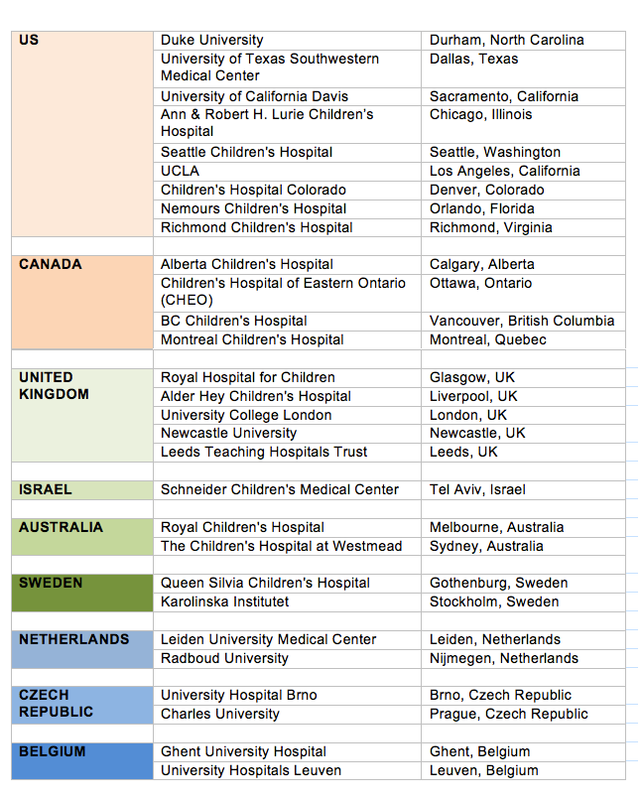 The Phase 2b trial is currently enrolling and is currently in the process of activating the following 29 clinical trial recruitment sites. Travel and stay of families to clinic visits are covered.